The digital marketing world is full of people looking to make a name for themselves. Here’s a list of 108 digital marketing experts who’ve done so, and are worth following on social media. 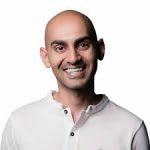 Why: Neil Patel constantly redefines digital marketing advice with his comprehensive, high-quality guides to SEO, content marketing, social media advertising, and a whole bunch of other digital marketing topics. He’s a must-follow if you want to learn how to grow your audience. How: Follow him on his personal blog, and his social media handles. 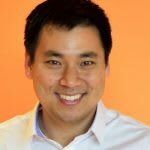 Why: Larry Kim is the founder and former CTO of Wordstream. He’s an influential PPC expert and all around internet marketing guru, and he now works as CEO of MobileMonkey. Check him out if you’re interested in PPC, Facebook advertising, or inspiration around entrepreneurship in the tech space. How: Find him on Twitter and his Medium account. Why: As head of content at MarketingProfs, Ann Handley is waging a one-woman war on mediocrity in content marketing. 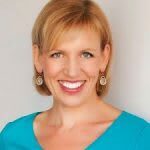 She’s also the bestselling author of Everybody Writes, a must-read for anyone in the content marketing space. How: Follow her on Twitter and her personal website. Why: With 20+ years’ experience of internet marketing under his belt, Jay Baer bills himself as an internet pioneer. He’s penned multiple best-selling books on internet marketing and has worked with some of the world’s best-known companies. How: Read his thoughts on Twitter or on his agency’s blog. Why: Jeff Bullas’ clout extends across the entire breadth of internet marketing, and especially into social media. He’s also a Forbes influencer and shares thoughtful insight on building your own personal brand in his prolific blog. How: Become one of his half million+ followers on Twitter or read his blog. 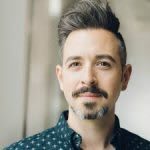 Why: As former CEO and co-founder of Moz, Rand Fishkin is a well-known name in the internet marketing space, especially in the search engine optimization subset. He’s also a prolific and influential tweeter, sharing as often as 40 times a week on SEO, marketing, and startups. How: Find him on Twitter. Why: London-based Ashley Friedlein is the founder of Econsultancy, a best-selling author on the topic of digital marketing, and she travels the world delivering keynote addresses and speeches around modern marketing practices. How: Keep up with what Ashley’s doing via Twitter. Why: Jennifer Polk is a well known digital marketer in the career and education space. She’s also the co-founder of BeyondProf, which looks to educate recent PhD-level grads in how to find non-academic roles. How: Find her on Twitter. Why: Interested in Biz Ops and human relations? Follow Jenise Henrikson. She’s the CEO of Alpha Brand Media, the parent company of Search Engine Journal, a digital publisher that publishes marketing industry guides and news. How: Read her insights on Search Engine Journal and follow her on Twitter. 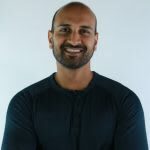 Why: You know Ramit Sethi from his New York Times bestseller “I Will Teach You To Be Rich.” He tweets often on topics ranging from careers to psychology to business best practices and is a well-known and influential voice in the business space. How: Keep up with Ramit on Twitter. 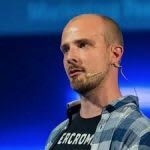 Why: Unbounce co-founder Oli Gardner is known for his impassioned rants against poor marketing practices, and is very no-holds-barred when it comes to his opinions. He speaks at marketing conferences worldwide and espouses data-driven content and user experiences to create better marketing. How: Check him out on Twitter and test your landing page’s effectiveness with the new Landing Page Analyzer. Why: Optimizely co-founder and executive chairman Dan Siroker believes in the power of data to create better digital experiences, and if you do too, he’s worth following. He’s not too vocal in the digital marketing space, but his company is certainly making waves. How: Read his thoughts on the Optimizely blog. Why: Tommy is the former editor-in-chief of the Shopify Plus blog, the current editor of the Oberlo (a Shopify product) blog, and an online digital marketer. His aim? Help e-commerce stores and entrepreneurs via thoughtful, considered, data-backed advice on how to grow their customer base—and their profits. How: Take a look at the Oberlo blog. 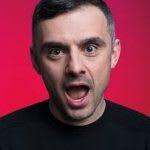 Why: What hasn’t Gary Vaynerchuk done? He’s a four-time New York Times best-selling author, e-commerce expert, venture capitalist, and one of the most sought-after public speakers in the world. He’s also an early investor in companies including Twitter, Venmo, and Uber. How: Hear his insights on his podcast and follow him on Twitter. 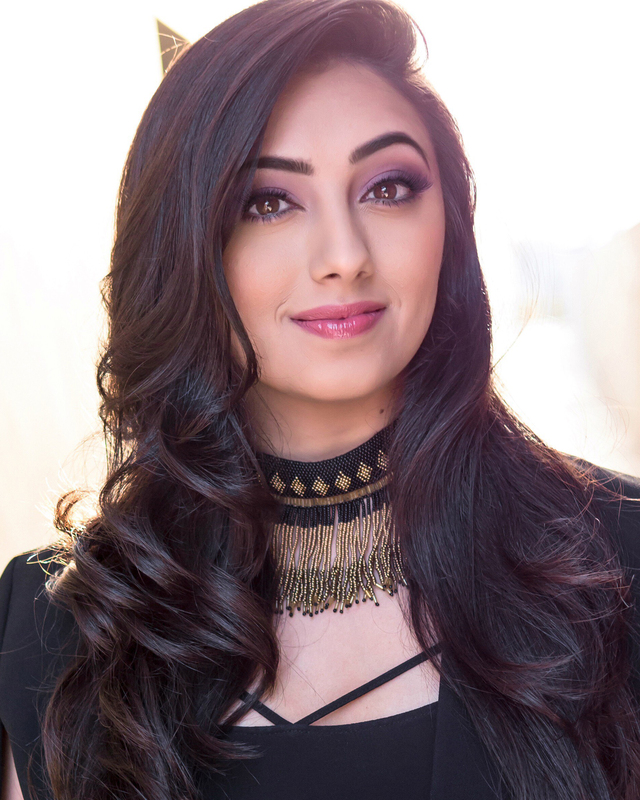 Why: At only 32, Shama Hyder has an impressive resume for a digital marketing expert: she’s a best-selling author, the CEO of the Marketing Zen Group, a global online marketing and PR company, and has been dubbed by Entrepreneur Magazine the “zen master of marketing.” She’s also been honored at the White House and The United Nations as one of the top 100 entrepreneurs in the country. How: Read her blog and follow her on Twitter. Why: If you want to better understand people and what motivates your users, you should follow Barry Schwartz. He’s a professor of social theory, prolific author, TED speaker, and offers insight into the motivations behind learning and behavior. How: Listen to his TED Talks, especially the one about the paradox of choice. Why: Danny Sullivan got his start as a journalist, a not-uncommon background for today’s marketers. He’s the co-founder of well-known Third Door Media, the parent company of many well-known blogs and publications in the marketing space. How: Find him on his personal site and on Twitter. Why: Heidi is the well-known creator of the Actionable Marketing Guide, a comprehensive guide to excelling in content marketing, social media, blogging, mobile marketing, branding, and lots more. Follow her for deep insight into successful blogging strategies. How: Visit Heidi’s personal website and follow her on Twitter. Why: Want deep insight into the web? Follow Avinash Kaushik, the best-selling author of two of the best-known books on web analytics, a digital marketing evangelist for Google, co-founder of Market Motive, and all around digital marketing genius. How: He posts often on his website and can be found on Twitter. Why: Joe Pulizzi is the founder of Content Marketing Institute, a widely read resource in the content marketing space. He’s written five books, including Epic Content Marketing, and is a must-follow for anyone in the content marketing space. How: Keep up with Joe on Twitter. Why: Want to become the world’s next SEO expert? Get in line behind Aleyda Solis, one of the best-known SEO experts in the world. 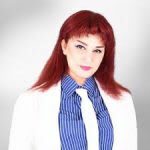 She’s been marked as a digital marketer to follow by Entrepreneur and other well-known publications and speaks across the world on effective online marketing and search engine optimization strategies. How: Visit Aleyda on Twitter or find her on YouTube. Why: As president of SEO by the Sea and director of SEO research for Go Fish Digital, Bill Slawski has an impressive resume that includes working with major companies on everything from crafting quality content to search engine optimization to e-commerce, blogging to social media, and much more. How: Follow him on Twitter, and read his insights on SEO by the Sea. Why: Danny Brown is a WordPress guru, and also helps individuals and companies succeed via social media and specifically Facebook advertising. He also penned the book “Influence Marketing,” about turning social media success into business results. How: Keep up with his thoughts on his personal blog. Why: You can’t go far in the digital marketing space without hearing about Hubspot, and that’s thanks to Brian Halligan, its CEO and co-founder, and verified digital marketing expert. He writes on inbound marketing, lectures at MIT, and is passionate about diversity. How: Read up on Brian via his Twitter. Why: Peter Shankman founded HARO, or Help A Reporter Out, and has been a pillar in the digital marketing space ever since. He’s considered an expert on business strategy, social media, and public relations, and he’s worked with companies ranging from American Express to Walt Disney World. How: Read his blog or keep up with him on Twitter. 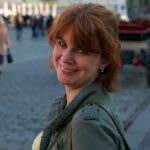 Why: Ann Smarty’s list of businesses and publications is impressive; she co-founded ViralContentBuzz.com, founded MyBlogU and TwChat, and is the brand and community manager at Internet Marketing Ninjas. 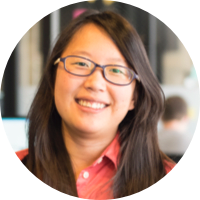 She also manages community at SEOchat and Threadwatch, and has her finger on the pulse of what’s happening in internet marketing today. How: Check out Ann’s insights on her Twitter. Why: Arnie Kuenn founded Vertical Measures, and is regarded as a well-known thought leader in content marketing and content strategy. He’s written two widely read books on content marketing and has two decades’ experience as a speaker and lecturer. How: Discover his insights on Twitter or on the Vertical Measures blog. Why: If you’ve done any research into social media marketing or, more specifically, Facebook marketing, chances are you’ve heard the name Mari Smith. She’s penned several books on the topic and has been called the queen of Facebook. She also is a globe-trotting speaker. How: Follow Mari on Twitter or read her insights on her blog. 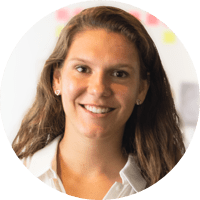 Why: Angie is a well-known name in the growth marketing space, and has Moz and Unbounce on her resume, among other big names. These days, though, she works exclusively as a consultant and speaker and has been recognized by numerous publications and agencies as a top marketer to follow. How: Keep up with Angie on Twitter. Why: Considered an expert in the realm of online marketing, Pam Moore is a highly sought-after keynote speaker, and has presented for companies ranging from IBM to Hubspot. 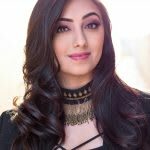 She’s ranked by Forbes as a Top 10 Social Media Power Influencer, and is one of the most retweeted digital marketers around today. How: Stay on top of Pam’s insights via her Twitter. Why: Josh took his digital marketing agency, MWI, from the brink of bankruptcy to multi-million dollar success with offices in five countries by penning over 300 articles for Forbes, Mashable, Fortune, TechCrunch, Fast Company, and 20 other top business publications. He’s the author of Chief Marketing Officers at Work, a TEDx speaker, and the founder of Influencer Inc which provides courses, training, and events for personal brand builders so they can do what he has done. How: Follow Josh’s thoughts on Twitter or read his book Chief Marketing Officers at Work. 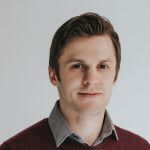 Why: With a title like director of acquisition for HubSpot, it’s no wonder Matthew Barby is a must-follow name in the digital marketing space. 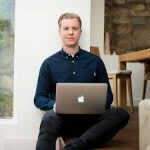 He also regularly offers his consultant services, speaks across the world, and isn’t reticent to share his advice on all things digital marketing. How: You’ll find tons of insight on his personal blog and can also keep up with Matthew on Twitter. 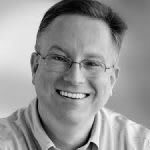 Why: Brian Clark leads Copyblogger and has been doing content marketing since before content marketing was a phrase! He’s been recognized by Forbes, Inc., and others, and has been quoted in books by the likes of Seth Godin and Joe Pulizzi. How: Read up on Brian’s insights via his personal blog and follow him on Twitter. Why: An early (as in, 2002) practitioner of Google Adwords, Melissa Mackey has built herself a reputation as an expert in the online advertising, social media, and pay per click space. She’s behind Beyondthepaid.com, a resource for all things online marketing and advertising. How: Follow her on her blog or on Twitter. Why: Lisa is another digital marketing expert in the PPC space, a realm she’s been actively working in for decades. She’s helped many big-name companies succeed via online marketing and advertising, and has had countless pieces published on the topic. How: Stay up to date on what Lisa’s talking about on Twitter. Why: Murray Newlands offers prolific advice in the entrepreneur space within digital marketing. He’s advised successful entrepreneurs on everything from growth marketing to funding, and is a certified lawyer to boot. How: Read up on all things entrepreneur marketing on his blog or follow him on Twitter. 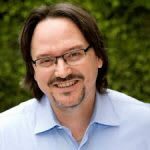 Why: Robert Rose founded The Content Advisor, the education and consulting group of the Content Marketing Institute. He’s helped marketers from 500+ companies tell their story more effectively, and has worked with brands from Capital One to Microsoft the UPS. 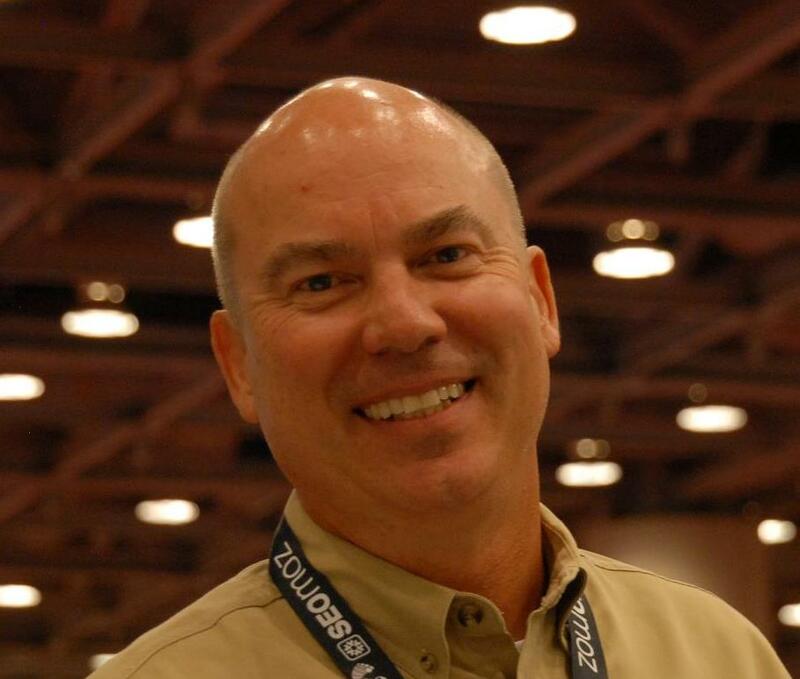 How: See what Robert is up to in the online marketing realm via his Twitter feed. Why: With advanced degrees in business and applied behavioral sciences, a successful marketing business, and 28 years’ experience in marketing and global sales, there’s not much Mark Schaefer hasn’t done. He’s an award-winning writer, a lecturer, and has worked with a slew of Fortune 100 companies in addition to lecturing at Pellissippi State College. How: Follow Mark on Twitter or read his company’s blog. Why: Glen Gilmore is a thought leader in areas ranging from content marketing to augmented reality to travel. He provides forward-thinking digital marketing strategy insights to the Fortune 500, and teaches courses on social media law, crisis communications, and brand management at Rutgers. How: Stay up on Glen’s insights on Twitter. Why: Billing himself as an executive, entrepreneur, and tech geek, Jack Phan has deep expertise in the startup realm. He’s a member of the Oregon Angel Fund, and is a must-follow if you have an interest in the more technical side of online marketing. How: Follow Jack on Twitter or keep up with him on his personal website. Why: Richard Santoro is a vocal tech and startup advocate, having helped many startups leverage social media, digital marketing, and SEO to grow their audiences and their revenue. How: Keep up with Richard on Twitter or via his business site. Why: Wandia combines her interest in global emerging markets with her passion for adventure and interest in how people behave. She’s worked at corporations like Johnson & Johnson and Medtronic, and has built a name for herself as an expert in the social media marketing space. How: Read her thoughts on Twitter. Why: With nearly 3 million followers on Twitter, Nathan Allen Pirtle, or “Coach,” is a verified social media marketing expert. He specializes in branding and life coaching, and has worked with too many Fortune 500 companies to list! How: Join his millions of followers on Twitter. How: Read his thoughts on Twitter. Why: Rachel Honoway has extensive experience in tech startups and helping early-stage businesses grow via digital marketing. 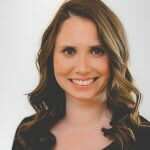 She espouses marketing from the ground up, and offers particularly useful insight for teams with little to no marketing budget—so, most startups! How: Read her company’s blog or follow her on Twitter. Why: As the founder of Digital Press, a thought leadership agency for CEOs and entrepreneurs, as well as a 3x Top Writer on the Question/Answer social site, Quora, Nicolas Cole’s articles have probably popped up in your search results more than once. He is one of Inc Magazine’s Top 30 columnists, and has been published everywhere from TIME to Business Insider and more. He is best known for writing about business, creativity, and personal development. How: Read his articles on Inc. and follow him on Twitter. Why: John Rampton’s name will definitely pop up if you’re interested in entrepreneurship and success/failure as a business leader; he’s been featured in Entrepreneur and TechCrunch on those topics. He’s also the founder of Due, and a frequent Tweeter on entrepreneurship. How: Read more about John’s thoughts on marketing on Twitter. Why: Brian’s passionate about marketing in both the startup realm and among Fortune 500 companies, and writes often on both topics. He’s also deeply interested in blockchain, writes regularly, and focuses on brand strategy for his clients. How: Read more about Brian on Twitter or follow him on Instagram. Why: Sam Hurley’s primary focus is in helping everyone, from freelancers to bloggers to CEOs, build their own personal brand. If anyone can teach you how, it’s Sam: he went from a virtual nobody to a top-rated personal brand marketer in 15 months. How: Read more about Sam on Twitter. 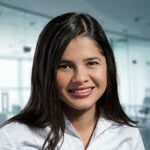 Why: If your marketing interests lie in the machine learning and artificial intelligence realm, Maria Johnsen is a must-follow digital marketing expert. She’s also a passionate advocate for multilingual, diverse marketing practices, and an active investor and philanthropist. How: Stay in the loop via Maria’s Twitter feed. Why: During her time working at SEMrush, Alexandra amassed worthwhile experience across digital marketing, from competitor analysis and link building to marketing automation and social media best practices. She’s also the founder of Digital Olympus, the free online digital marketing event that features industry leaders. 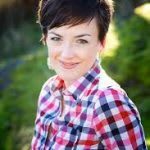 These days she blogs and Tweets specifically about content marketing, and writes for Moz, Entrepreneur, and others. How: Follow Alex on Twitter, or visit her personal website. Why: Ashley directs agency marketing for TopRank Marketing, and in her role seeks to help agencies grow their customer base and revenue through smart digital marketing practices. She’s worked in everything from branding to account management and social media. How: Read Ashley’s thoughts on Twitter or read up on her on her company’s blog. Why: Evan brings a unique background—linguistics—to his work as a top performing digital marketer. He currently leads customer success at Transform. He specializes in social media and data-driven marketing strategies, and spends his free time writing and performing poetry. How: Become one of Evan’s 60k+ followers on Twitter. Why: As CEO of Marketing Insider Group, Michael Brenner uses his broad platform to deliver keynote addresses worldwide, on topics within leadership, culture, and of course marketing. He’s the author of the best-selling “The Content Formula,” and leads via a customer-centric approach. How: See what Michael has to say on Twitter or his company’s blog. Why: Michael specializes in social media and content marketing, and has worked on campaigns for brands like Reebok, Uno’s, and GNC. With 10+ years’ experience in digital marketing, Michael’s amassed a solid following and Tweets his insights often. How: Stay up on Michael’s insights via Twitter. 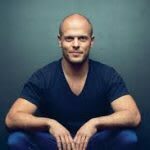 Why: Penning one NYTimes bestseller would be impressive enough, but Tim Ferriss has done it four times. His insights into workplace productivity, entrepreneurship, and optimizing human performance (not just professionally but across the board) have inspired countless individuals to work not just harder, but smarter. How: Read his thoughts via Twitter. Why: Derek Halpern founded Social Triggers and very quickly built himself a following and customer base worth envying. He blends data-driven marketing around conversion rates and research with content marketing to help his clients win more customers online. How: Read his company’s blog or stay up to date on Twitter. Why: Michael Hyatt is a well-known career coach and leadership consultant. Within the digital marketing realm, he’s penned “Platform: Get Noticed in a Noisy World,” about social media, blogging best practices, public speaking skills, and more. How: Visit Michael’s personal website or keep up with him on Twitter. Why: Kotton Grammer is an SEO expert and entrepreneur, and is the founder of Kotton Grammer Media, a multi-million dollar advertising and media company specializing in SEO best practices. His websites rank highly in Google, which goes to show he knows what he’s talking about! How: Follow Kotton via his website. 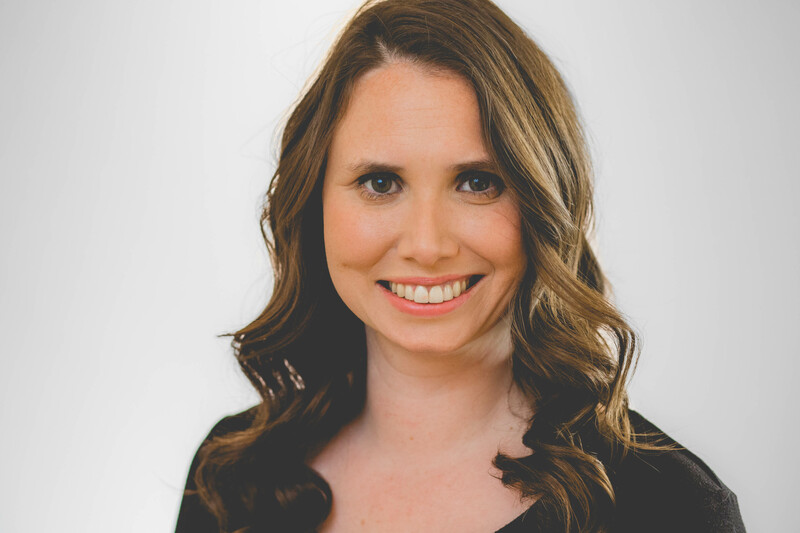 Why: Amy works with established businesses and entrepreneurs alike to help build engaged email lists, create online training courses driven by value, and create a loyal customer base. She’s authored a book about leveraging Facebook for business growth and was named by Forbes as a Top 50 Social Media Influencer. How: Read Amy’s insights on Twitter or listen to her marketing podcast. Why: Jayson DeMers founded AudienceBloom, a content marketing and social media marketing agency based in Seattle. When’s he’s not busy leading his company, he’s writing pieces on digital marketing for Forbes, Huffington Post, and others. How: Read more about what Jayson has to say on Twitter. 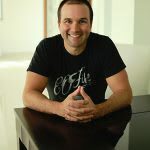 Why: John Lee Dumas’ path to digital marketing was not a straight one, but he’s landed squarely in the entrepreneur category, and has made himself a strong niche there. He hosts the Entrepreneurs On Fire podcast, where he interviews successful entrepreneurs like Tony Robbins and Seth Godin about how they achieved success. 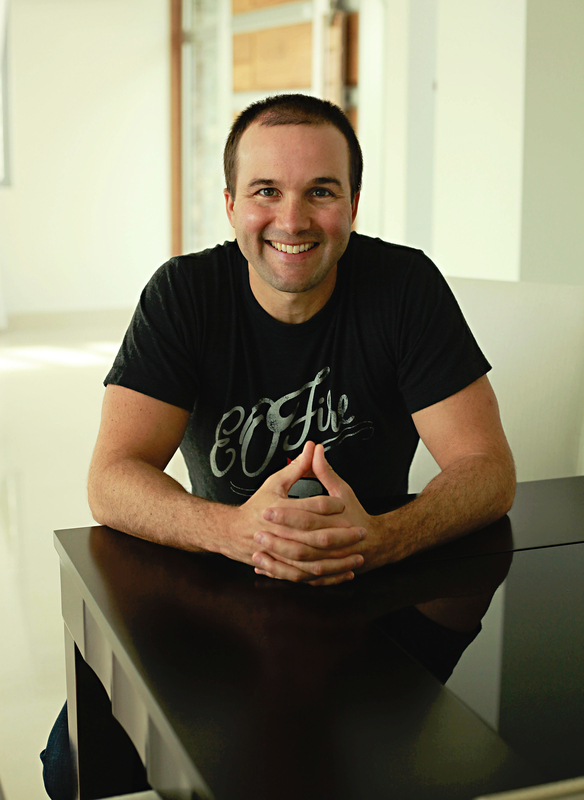 How: You’ll find John on Twitter and hosting his Entrepreneurs On Fire podcast. Why: Joanna is one half of the team behind Copyhackers, an incredible online resource for those looking to boost their website and email conversion rates by improving their copywriting and content skills. She writes about optimizing content, growth marketing, and more on Twitter and her company’s blog. How: Stay in the known via Joanna’s Twitter and her company website. Why: If you have even the slightest interest in social media marketing, chances are you’ve come across Michael A. Stelzner and his well-known resource, Social Media Examiner, the go-to source for all things social media research, best practices, and more. How: Read more about Michael’s industry-leading insights on Twitter. Why: Brian Fanzo is a unique character with the digital marketing realm. He’s a proud storyteller and markets himself as a millennial generation professional. He speaks worldwide on topics around transformation, your personal brand, influencer marketing, and more. How: Read more via Brian’s Twitter or his professional blog. Why: Kim Garst, in addition to penning several books on online marketing, is the founder and CEO of Boom! Social, an agency dedicated to helping businesses and individuals develop their brand and social media presence. She’s also written extensively on how to expand your business via Pinterest. How: Follow Kim on Twitter. Why: Peg Fitzpatrick has spoken, written, and consulted extensively on success in the social media marketing realm. She’s especially well versed in how to succeed as a business or entrepreneur via Instagram and Pinterest. How: Read Peg’s social media insights on her Twitter feed or visit her business website. Why: Rebekah Radice has 20 years of marketing experience, and she’s taken a strategic position as a business training marketer, having founded RadiantLA, a training and development company that helps business pros learn and utilize online marketing to their advantage. How: Read Rebekah’s blog and follow her on Twitter. Why: Talia has been featured on Moz, The Next Web, Entrepreneur, and more. 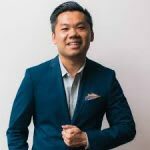 This digital marketing expert specializes in conversion optimization and improving businesses customer funnels, delivering training, audits, workshops, and keynote addresses on the topic. How: Keep up with Talia on Twitter. 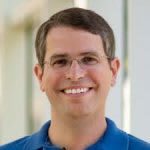 Why: If you’re looking for deep insight into how Google assesses quality content and creates intelligent content and search filters, look no further than Matt Cutts. He’s the former head of Google’s webspam team, and wrote the first version of SafeSearch, Google’s family-friendly search filter. Check out what Matt’s up to now with his new work at the US Digital Service, which is the group of geeks that helped rescue healthcare.gov. How: Follow Matt on Twitter. Why: Cyrus Shepard has made a name for himself in the search engine optimization world. He’s a well-rounded online marketer who’s worked at Moz, and now owns his own consultancy business working with major Fortune 500 companies. How: Keep up with Cyrus and the latest in SEO via his Twitter. Why: Peg Samuel founded Social Diva Media to help individuals and teams create and act on integrated media and social media strategies. She specializes in online brand building, social PR, storytelling, and large-scale campaigns, and has worked with the David Lynch Foundation, Movado Watches, and more. How: Keep up with Peg and Social Diva Media on Twitter. 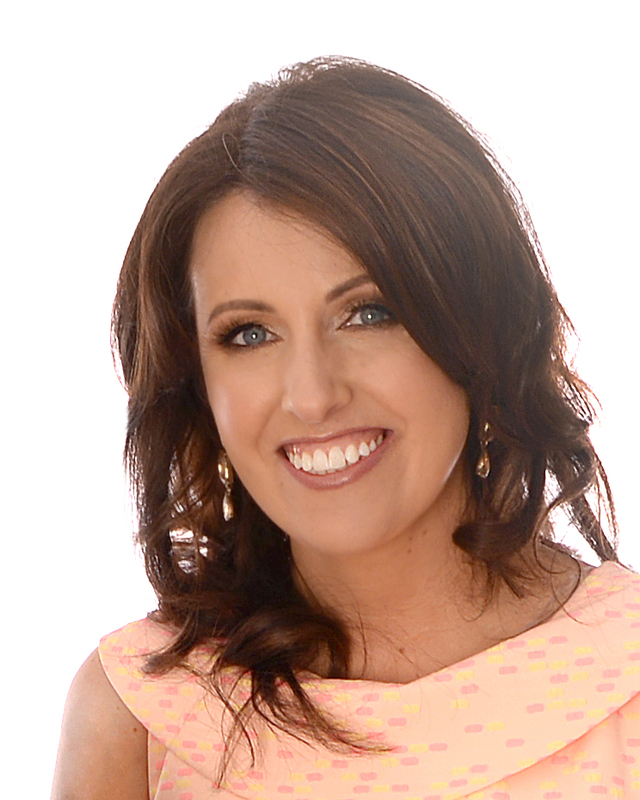 Why: Louise is a specialist in the realm of Facebook marketing. 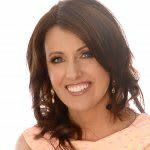 She founded her own agency in 2009 and has worked with well over 2,000 companies, in between delivering keynote addresses and talks across the world on topics within digital marketing ranging from social media to website building. How: Read more of what Louise has to say on Twitter or visit her website. Why: John has carved out a niche for himself in online fundraising and not-for-profit marketing practices, and has also written an extensive book on Facebook marketing. He’s helped hundreds of nonprofits and charities boost their fundraising through story-based marketing. How: Read what he has to say on his website and on Twitter. Why: Interested in learning how to leverage LinkedIn for marketing? Look no further than Melonie Dodaro. She’s made a name for herself within LinkedIn marketing, and has grown her personal brand and business to offer consulting, keynote speeches, and more. How: Read what Melonie has to say on Twitter. Why: Tony Restell focuses on social media marketing, but specifically for small businesses and recruiters. His most recent blogs focus on how social media marketing is more of a marathon than a sprint, and how to successfully generate leads via social media. How: Read his insights on his company’s blog or keep up with him on Twitter. Why: Chris is the CEO of Owner Media Group, and has written multiple best-selling books that have landed him on the New York Times bestseller list, including his most recent, Find Your Writing Voice. He’s consulted for some massive brands, from Google to Coke to GM, and has appeared on Dr. Phil. How: Follow Chris on Twitter or take a peek at his personal website. Why: Want to become an all-around better writer? Sure you do! 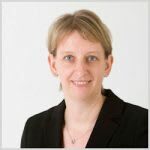 Start following Henneke Duistermaat, a regular contributor to Copyblogger and owner of Enchanting Marketing. She shares insight into how to make your writing more relevant, valuable, and engaging for your readers. How: See what Henneke has to say on Twitter. Why: Geno, or also known by his full name, Evgenii Prussakov, is the founder and CEO of AM Navigator, and also founded two marketing-related conferences: Affiliate Management Days and Influencer Marketing Days. He’s written several books on influencer and affiliate marketing, and blogs and speaks regularly. How: Follow Geno on Twitter or read his insights on his company blog. Why: If the name of his business, Shoemoney, didn’t give it away, Jeremy Schoemaker is focused on helping businesses earn money online, and has done so for himself through GoogleAds, direct marketing, and by focusing on emerging trends in business, tech, and marketing. How: Read his tweets on Twitter or visit his blog. Why: Tricia’s a well-known figure in the affiliate marketing world. She blogs often on how to succeed in the advertising and affiliate realm of marketing, and shares free resources on her blog about it too. How: Tricia posts her thoughts on Twitter and blogs on her website. 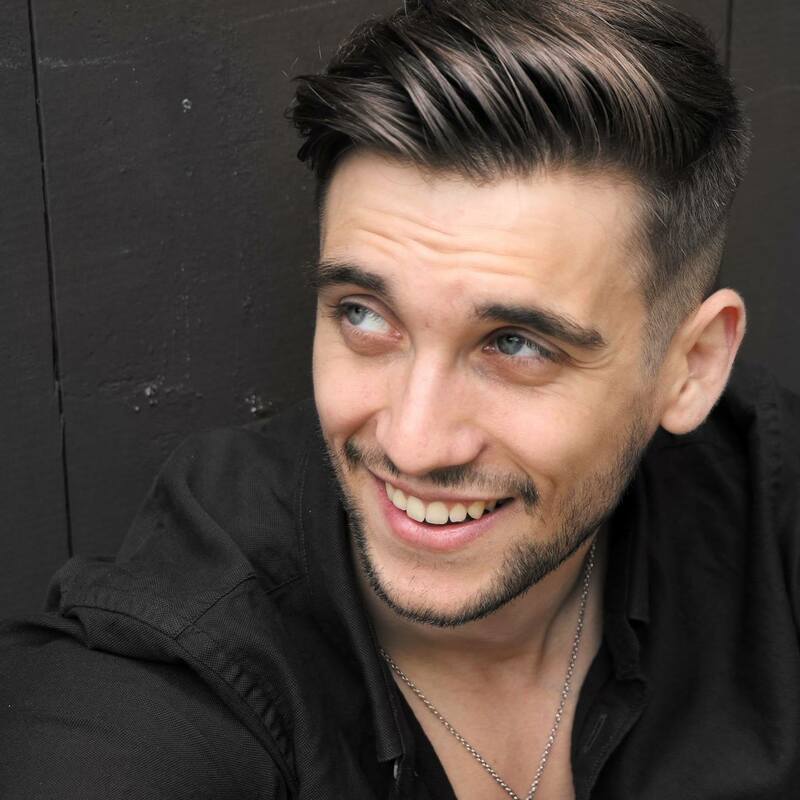 Why: Matthew Wood is the founder of PerformanceIN, a consultancy that provides growth and performance marketing expertise to its clients while also sharing deep insight on everything from lead generation to display advertising to influencer marketing. How: Read the vast amounts of information on his company website or keep up with Matthew on Twitter. Why: Want to write emails and build marketing flows that convert? Jordie is your man. He’s worked for more than a decade as an independent email marketing consultant, helping companies improve their emails for better conversion and impact. He’s also a frequent speaker at online marketing events. How: Read what Jordie has to say on Twitter or visit his consultancy website blog. Why: Noah takes a unique and lighthearted approach to marketing, but that doesn’t mean he doesn’t generate results for his clients. He’s the Chief Sumo at Sumo.com and AppSumo.com, which helps entrepreneurs succeed, and before that he worked at Intel, Facebook, and Mint. How: Read his unique insights on Twitter or on his personal business site, OkDork. Why: Bryan, along with his brother Jeffrey, are well-known digital marketing experts specifically in online marketing. They’ve done extensive work with companies big and small to help them improve their online conversion rates, build their subscription lists, and lead to more sales. Bryan specifically has written the bestseller Be Like Amazon, and speaks worldwide on all things marketing. How: Follow Bryan on Twitter. Why: A data-driven marketer and serial entrepreneur, Sujan Patel is managing director at Ramp Ventures. He recently acquired Right Inbox and Voila Norbert, two email tools to increase email productivity and email prospecting. 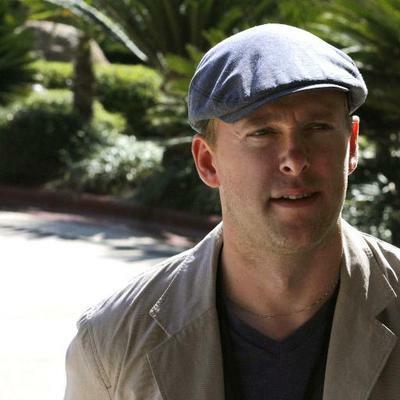 He’s helped large companies including Salesforce, Mint, and Intuit acquire more customers and build brand awareness. And he literally wrote the book on growth hacking, 100 Days of Growth, with Rob Wormley. How: Watch Sujan’s videos on YouTube or keep up with him on Twitter. Why: Peep Laja is a conversion optimization expert, and sells his services via his company ConversionXL, also known as CXL. He’s been voted the most influential conversion rate optimization expert in the world, and isn’t afraid to call people out for poor marketing practices. How: Read up on what Peep has to say on Twitter and keep updated on his blog. Why: Vin Clancy works with early-stage companies to help them grow rapidly, through proven tactics in social media, guerrilla community management, and other growth hacking techniques. He aims to help those companies grow rapidly – virtually overnight – through shortcuts he’s developed over years in marketing. How: Read Vin’s thoughts on Twitter. Why: The term ‘growth hacking’ has been used quite a bit in this list, but do you know where it comes from? From Sean Ellis, that’s who. He’s the author of Hacking Growth, a book that spawned a million job titles, and became a bestseller to boot. How: Keep up with Sean on Twitter or read the Growth Hacker’s blog. Why: Andrew a general partner at Andreessen Horowitz, focusing on consumer and bottoms-up SaaS, after leading the growth team at Uber. He’s been writing about tech, mobile marketing, data, and growth for more than a decade, and has advised startups ranging from Dropbox to Barkbox. How: Subscribe to his weekly email on his website or visit Andrew on Twitter. Why: Justin Wu takes a systematic and data-driven approach to growth marketing. He runs growth at CoinCircle, but has extensive experience in starting and running startups. He writes often on how to grow leads and sales across all types of channels. How: Read up on Justin’s growth insights on Twitter. Why: Mani takes a playful and passionate approach to marketing, sharing his insights with love and humor via his blog and Twitter. He’s curiosity-driven and bases his insights into questioning why human beings behave the way they do—particularly online. How: Follow him on Twitter or his personal website. 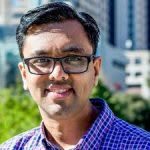 Why: If you’re in digital marketing, it’s pretty much inevitable that you’ve interacted with one of the three companies Hiten Shah helped build: CrazyEgg, KISSmetrics, and Quick Sprout. These days Hiten heads up Product Habits, and is an active startup investor and advisor. How: Stay in the loop via Hiten’s Twitter account. Why: Heather Wilde is CTO of ROCeteer, and is also known as the “Unicorn Whisperer” thanks in part to her special focus on entrepreneurs and what makes them tick. She’s also an accomplished speaker, author, former Evernote team member, and TEDx speaker. Why: Debra Mastaler is the president of Alliance-Link, and is a go-to expert on link building and how it can improve your online presence. 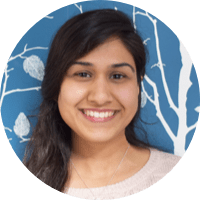 She shares tools and insight into building links for better ranking and SEO, and speaks often at events about the science and art behind link building. How: Read Debra’s company insights or follow her on Twitter. Why: Another well-known expert in link building, Julie Joyce is the owner and director of operations for link-building company Link Fish Media. She’s also an SEO expert, founder of SEO Chicks, host of the SEMrush link webinar series, and a regular contributor to Search Engine Land. How: Stay in the link-building know via Julie’s Twitter. Why: If you’re inspired by marketing professionals who succeed while living the nomad life, Brian Dean is someone to follow. He’s the founder of Backlinko and is a known SEO expert, publishing regular content about how marketers can help their businesses grow, all while traveling all over the world. How: Follow Brian’s adventures on Twitter or his business blog. Why: Venchito is the co-founder and marketing director at Sharp Rocket, which offers marketing strategy development, client acquisition, link development and content marketing for its clients. When he’s not busy with that, he’s delivering talks or consulting with education leaders. How: Keep up with Venchito on Twitter. 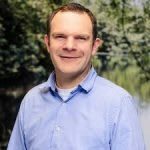 Why: Ben’s a dedicated search engine optimization specialist, and focuses specifically on local search, link building, and online reputation management. He uses his skills in those areas, as well as expertise in PPC strategy, social media, and more to create comprehensive digital strategies for his clients, which vary from law firms to major Fortune 500 companies. How: Check out his personal website or his Twitter. Why: Ken delivers customized workshops to companies about how to improve their public image, build their reputation, and succeed via proven digital marketing practices. He’s been in the online marketing realm for more than two decades, and specializes in public relations, link building, and overall digital marketing. How: See what Ken has to say on Twitter or read his consultancy blog. Why: Scott is vice president of platform ecosystem at Hubspot, chairs the MarTech conference, and espouses the importance of using technology and data in your marketing practices. He speaks and blogs about how marketing changes as a result of technology, agile marketing, the evolving structure of the industry, and more. How: Read his insights on Twitter or his blog. Why: Phil Hollows leads FeedBlitz, a one-stop-shop for email marketing, social media marketing management, and RSS feed management. He and his team help companies set up smart email flows that can be automated and optimized for social sharing, revenue generation, and more. How: Stay up on Phil’s thoughts via Twitter or read his company blog. Why: You may have heard of John Jantsch in relation to his series of books, including Duct Tape Marketing and Duct Tape Selling. He consults with small businesses on how to leverage smart keyword research to improve their outcomes, and is a sought after speaker as well. How: Read his insights on his company blog or follow him on Twitter. Why: Michelle helps individuals and companies take the guesswork out of successful social media marketing. She’s penned several books on the topic, and is an active trainer and advisor. 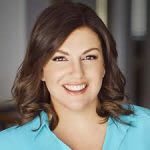 With almost 2 decades of experience in online business development and sales, she travels often to deliver keynote addresses on all things marketing. How: Read for more tips and tricks on her blog, or visit her on Twitter. Why: Simo Ahava is a well-known name in the development and analytics world, having been a Google Developer Expert for Google Analytics since 2014. 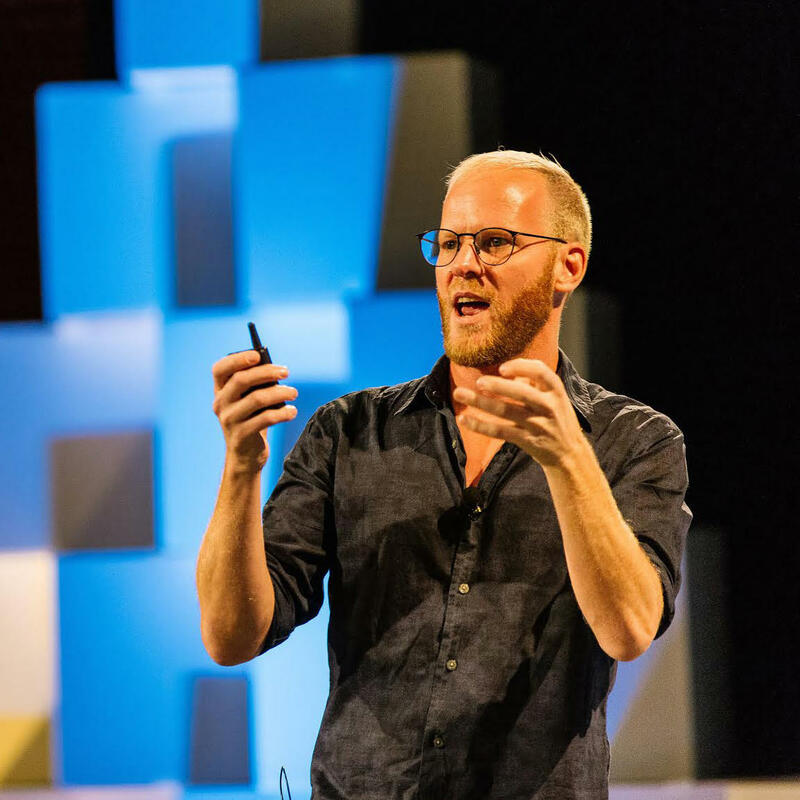 He’s been writing code since the 90s, and blogs about the intersection of analytics, marketing, development, and more, in a straightforward and understandable way. How: Follow Simo on Twitter or read his insightful digital analytics blog. Why: Do you want to know how to predict the lifetime value of customers from their purchase behavior? Using this metric to help companies improve their acquisition and retention strategies is Peter Fader’s specialty. He co-founded a startup called Zodiac that uses his statistical models in their software and lectures about it as a professor of Marketing at Wharton. How: Follow Peter via Twitter or read some of his blog posts. How: Join her thousands of followers on Twitter or visit her personal business site. Why: Greg Hoffman hails from the journalism field, and worked as a reporter for many years before transitioning to public relations and marketing. Today he heads up Apogee, a well known performance marketing agency specializing in growth affiliate programs for small and medium-sized businesses. How: Visit his personal website or keep up with him on Twitter. Interested in starting or growing your digital marketing career like these digital marketing experts? Check out our Digital Marketing Career Track—you’ll learn the skills and get the one-on-one mentorship and career coaching you need to land the job you want and drive explosive revenue via data-driven marketing strategy.